Funeral services for Cody Bryant Culpepper, 84, of 409 N. High Street, Longview, will be held at 2 PM Tuesday at Welch Funeral Home Chapel with the Rev. L.L. Thomas and the Rev. Bill Rawlins officiating. Burial will follow in Grace Hill Cemetery. Mr. Culpepper died Sunday in a local nursing home. He was a retired photographer and lifetime resident of Longview. These were his instructions, "Shoot anything you can get out on the front porch." Were these orders for a Bonnie and Clyde Robbery or a gangland massacre? No, they were only instructions to traveling photographer Cody B. Culpepper from his boss to photograph as many people as he could lure out on their front porches. That way someone was sure to buy his picture. From 1915 to 1931, Culpepper was the only photographer in Longview except for the fly-by-night traveling photographers. He was Longview's photographer and Longview's historian. Culpepper took pictures of buildings that have long since disappeared from the Longview scene. He recorded Longview's history when it was nothing but a little town straining for its existence in impossibly muddy streets. He took so many pictures he stopped counting them long ago. They were pictures of a way of life that resembled frontier living, a way of life now seen in historic photos such as Culpepper's. And he took pictures of young husbands and brides and families and babies. He was Longview's baby photographer, and your baby hadn't really had his picture taken unless Culpepper took it. And the babies grew up and came back years later for Culpepper to photograph their babies. And those babies eventually brought back babies of their own for Culpepper to pose before his camera. He has been the photographer for generations of Longview families. The man who for years was unofficially recognized as Longview's official photographer, began his careen in 1907 as an $8 a week traveling photographer in Southwest Texas. "In 1906 I was taking a bookkeeping course in Tyler, and I transferred to Dallas in 1907 to do a little more studying and get a job as a bookkeeper," Culpepper said. "While I was working there, I saw an ad in the paper one day that called for a nice-looking young man who was free to travel and work around the Texas area," he reminisced. "You know I was sort of stuck on myself in those days, and so I answered the ad for a good looking young man." Culpepper's job was to be a door-to-door traveling photographer with a "caller." Although he didn't know one thing about photography, he took "learn quick" lessons and was soon adept enough to begin calling on houses in Southwest Texas. He also figured he would learn through experience. Culpepper explained the caller's job. "The caller was a man who preceded the photographer into a neighborhood. He would knock on each door and yell out to the occupants, "We're gonna be takin' pictures of this house in a little while. If ya'll would like to get out on the front porch, we'll take your picture too.."
Culpepper continued, "Later I would develop all the pictures I took, and we would take them back around to the houses to see if the people liked them and would buy." He smiled, "It was a pretty good business, and that's where I learned my photography." In 1908, he quit his house-to-house photography job and returned to his home near Spring Hill to raise a cotton crop. 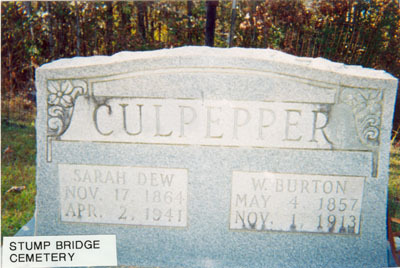 Culpepper was born November 2, 1888, in Cypress Bottom close to Ore City. His family later moved to Spring Hill where he was reared on a farm and attended the Spring Hill and Judson schools. He said, "When I was a small boy, I had seen traveling photographers and the pictures they took. I had a dream one night about washing the pictures in a quick-running stream. Now that was a peculiar dream, because I never knew that photographs had to be washed before they could be made into pictures." Culpepper credits this childhood dream to have perhaps been a sign that photography would be his life's work. After clearing money on his 1908 cotton crop, he went to Big Sandy, rented a tent and took pictures for six weeks. He commented, "I cleared $90 in six weeks, and that was pretty good." He came to Longview in 1909 and bought out the old Otho Dickerson photographic studio the day before his twenty-first birthday. The studio was in a tent on unpaved and muddy Methvin Street. Young Culpepper stayed about one year at that location and then moved his studio to where the Hurwitz Man's Shop is presently located. Culpepper stayed there until 1914, when his studio was burned out. He re-located his business on a site which the Longview National Bank now occupies. "In 1920, I sold out to a fellow named Mims and went to Vernon, Texas to work. I stayed there for six weeks and came back to Longview. Then I went to Sweetwater and worked 15 months. After that I came back to Longview and bought my studio back from Mims. I bought it back for $100 more than he paid me for it," Culpepper said. Culpepper was home to stay, and he kept the same studio location for 25 years. In 1948, he moved the studio into his home on North High Street and kept it in operation there until 1960. 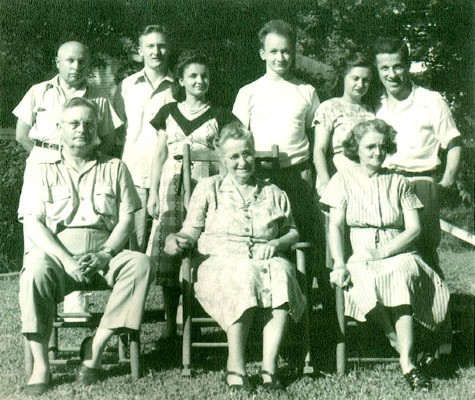 "In 1960, Maud, my wife, got sick. I just didn't have time to run the studio and take care of her, too, so I closed up," Culpepper explained. He said, "She hasn't been in good health since she broke her wrist in 1959." Culpepper said his wife of 58 years is presently in the Holiday Lodge Nursing Home. "She hasn't been able to come home for three years now. at first she spent a long time in the hospital and then moved to the nursing home." He said, "The doctors say she has some sort of sickness where her white blood cell count is abnormally low. I visit her everyday at the Holiday Lodge." "I've been here all by myself for three years, I do all the cooking myself and most of the housekeeping. But once a week I have a maid come in and sweep out the sand," he said and laughed. He will be 80 years old on his next birthday. "I try to keep myself in pretty good shape," Culpepper said. "I used to walk about two miles every day, but I don't do that any more. I still walk to the post office every day for my mail, and I still mow my yard." He said the doctor told him to mow for 20 minutes and rest for 20 minutes, but Culpepper complained, "I can't do it that way. When I mow the yard I have to do it all at one time and get the job done." He said, "You know I must be healthy, because I've never been in the hospital a day in my life except to visit other people." He said his days aren't usually too busy and that is schedule is nearly the same every day. Why did he choose photography as his career? Culpepper explained with a laugh, "Well, I could do two things - take pictures and plow. And I didn't have a place to plow." My name is Victoria Wilson with the non-profit, Preservation Longview in Longview, Tx. I have located a 1st edition book with Cody Culpepper's photos in it and am having it reproduced and also put on a disc. I understand there is a nephew that might live here that perhaps gave the Culpepper negatives to the museum. I have spoken with Neina Kennedy at the museum...they have boxes of negatives waiting to be digitized. Do you live in Texas? Is thereCulpepper relative here? 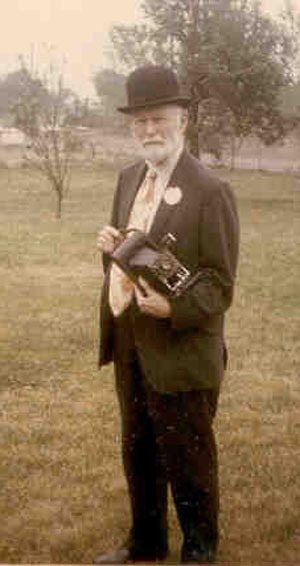 We would like to celebrate this "Longview photographer" and perhaps have renderings done from the photos. This is an extraordinary project and because of Mr. Culpepper's photo of the Judge Campbell house, our restoration will be original. Cody Bryant Culpepper, Longview, TX, age 28, born 2 Nov 1888 in Diona, Texas, Phoographer for self at Longview, Texas, Wife and 2 children are dependent, Married, Caucasian, Medium height, Slender build, Blue eyes, Borwn hair, Bald, No disabilities. Registered 5 Jun 1917 at Gregg Co., Texas. Bartow Culpepper, Son, Wh, M, Mar 1895, 5, S, TX AL TX, Farm Laborer. Constine? Culpepper, Boarder, M, 24, S, TX TX TX, Photographer. Ancestry.com. Texas, Select County Marriage Index, 1837-1965 [database on-line]. Provo, UT, USA: Ancestry.com Operations, Inc., 2014. 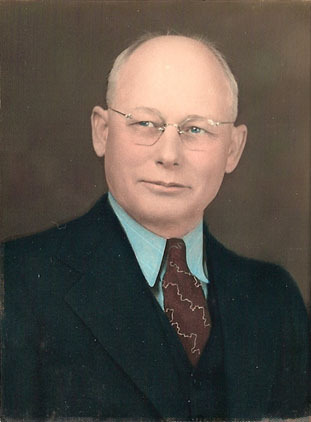 Elbert B. Culpepper, Gregg Co., Apr 8 1934, 17906. Martha Etta Culpepper, died 1 Dec 1945 in Gregg Co., TX. E-mail written Jan 2012 to Warren L. Culpepper from Victoria Wilson, Longview, TX, Phone 903 235-9087, e-mail address. Thomas Jefferson Culpepper, Longview, TX, age 26, born 22 Nov 1890 in Upshur Co., Texas, Assistant Photographer for Dickerson's at Shreveport, LA. Wife and 1 child are dependent, Married, Caucasian, Short height, Slender build, Gray eyes, Light hair, Not bald, No disabilities. Registered 5 Jun 1917 at Gregg Co., Texas. David B. Culpepper, Son, M, 15, S, TX AL TX, Farm Laborer. ED 70, sheet 10, line 35. Precinct 7, Gregg, Texas; Roll: 2336; Page: 7B; Enumeration District: 12; Image: 1100.0. Teruko I. Culpepper, 31 Mar 1925 – 18 Sep 1971. 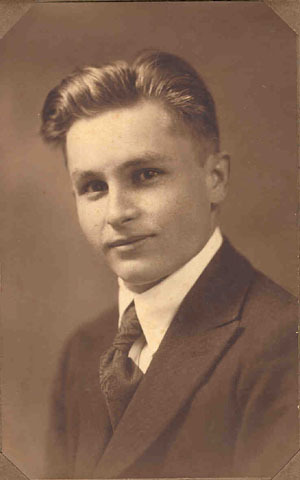 David B. Culpepper, 718 Milam, Houston, Harris Co., TX, age 22, born 16 Mar 1895 in Lafayette, Texas; Clerical work for G. A. Stowers Furniture Co. of Houston, Texas, No dependents, Single, Caucasian, Short height, Slender build, Blue eyes, Brown hair, Slightly bald, No disabilities. Registered 30 May 1917 at Houston, Harris Co., Texas. Willa C. Culpepper, Wife, F, 30, M, md@27, TX TX TX. David Bartow Culpepper, Male, Single, died 3 Dec 1969 in Harris Co., TX. Teruko I Culpepper, Female, Widowed, died 18 Sep 1971 in Gregg Co., TX. Sarah E. Culpepper, Wife, F, Md, Wh, 16, Keeping House, MS/MS/AL. John Richard Culpepper, RFD#2, Sallis, Attala Co., MS. Age 34. Born 23 Feb 1884. White. Occupation: Farming for self. Nearest Relative: Elizab. Culpepper (Wife), RFD#2, Sallis, Attala Co., MS. Signed (x). Tall, Slender, Blue eyes, brown hair, No disabilities. 12 Sep 1918, Kosciusko, Attala Co., MS.
Walter Culpepper, RFD#2, Sallis, Attala Co., MS. Age 32, Born 13 Feb 1886. White Occupation: Farming for Sarah Ellen Culpepper, RFD#2, Sallis, Attala Co., MS. 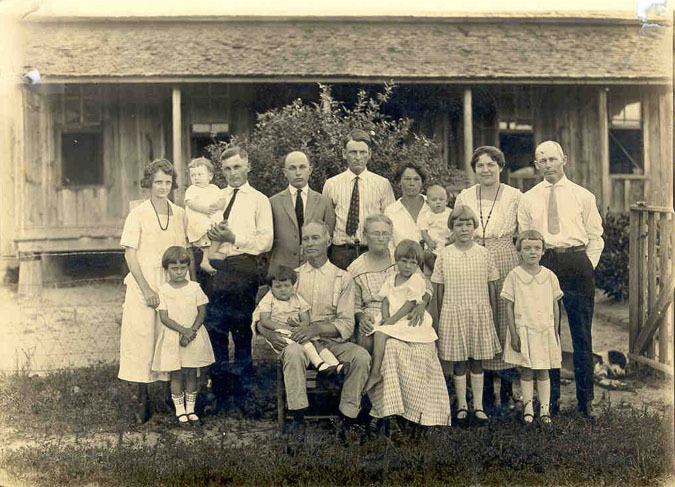 Nearest Relative: Ruby Lee Culpepper (Child), RFD#2, Sallis, Attala Co., MS. /s/ Walter Culpepper. Tall, Slender, Blue eyes, dark hair, No disabilities. 12 Sep 1918, Kosciusko, Attala Co., MS.
E-mail written 2003-2008 to Culpepper Connections from John Mitchell, e-mail address. Benjamin Culpeper (2p), age 21, RFD#2, Sallis, MS. Born 7 Jun 1896 in Attala Co., MS. Father born in MS. Employed by Mrs. Sara E. Culpeper (Farming), RFD#2, Sallis, MS. Nearest relative: same. White. Signed (x). Tall, Slender, Blue eyes, Black hair, Partly deaf, Mentally deficient. 5 Jun 1918, Kosciusko, Attala Co., MS.
Oscar Culpepper, RFD#2, Sallis, Attala Co., MS. Age 21. Born 27 Aug 1897. White. Occupation: Farming for Sarah Culpepper, RFD#1, Sallis, Attala Co., MS. 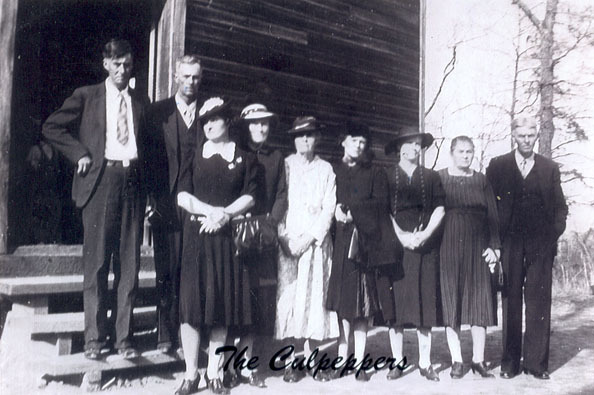 Nearest Relative: Sarah Culpepper (Mother), RFD#1, Sallis, Attala Co., MS. /s/ Oscar Culpepper. Tall, Slender, Blue eyes, dark hair, No disabilities. 12 Sep 1918, Kosciusko, Attala Co., MS.
Rannie Culpepper, Daughter, Wh, F, Mar 1900, 3/12, S, MS/MS/MS. Julia McBride, Granddaughter, F, Wh, 1 2/12, MS/MS/MS. 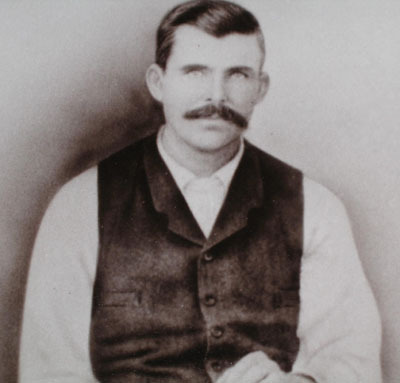 Walter Caldwell, Lodger, Wh, M, Oct 1883, 16, S, MS/AL/MS, Farm Laborer. R. M. Culpeper, Head, M, Wh, 54, S, MS/NC/AL, Farmer-General Farm. Dorris B. Ray, Grandniece, F, Wh, 3 3/12, sng, MS/MS/MS. Richard M Culpepper, Head, M, Wh, 73, sng, MS/NC/NC, Farmer, General Farm, Vet=N. Hattie Culpepper, Dau, F, Wh, 28, sng, MS/MS/MS. + Aurie Culpepper, 1892 - 1917. Herbert Culpeper, Son, Wh, M, May 1900, 0/12, S, MS/MS/MS. 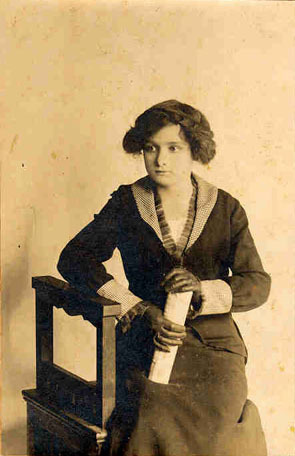 + Bessie Pearl Culpepper, 27 Jan 1902 - 24 Nov 1902. Herbert Monroe Culpepper, RFD#2, Dossville, Leake Co., MS, Age 18, Born 23 May 1900, White, Farmer for A. J. Culpepper at RFD#2, Dossville, Leake Co., MS. 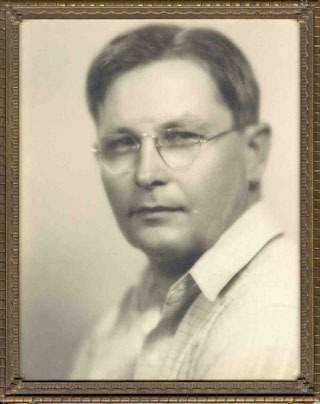 Nearest relative: A. J. Culpepper, RFD#2, Dossville, Leake Co., MS, /s/ Herbert Monroe Culpepper, Medium height, Medium build, Blue eyes, Light hair, No disabilities. Registered 12 Sep 1918 in Monticello, Lawrence Co., MS.
Lillian M. Culpeper, Daughter, F, Wh, 6, S, MS/MS/MS. 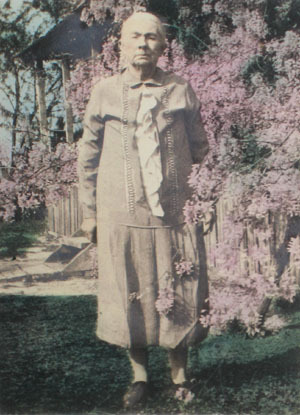 Lillian M. Culpeper, Dau, F, Wh, 15, sng, MS/MS/MS farm labor. Bell M Culpepper, Daughter, F, Wh, 32, sng, MS/MS/MS. (Based on dates, this must be George M. Culpepper, but his initials were erroneously transcribed). D. H. Culpeper and Alice B. Pickle married 29 Sep 1897 in Attala Co., MS.
Lessie P. Culpepper, G-Daughter, Wh, Sep 1898, 1, S, MS/MS/MS. 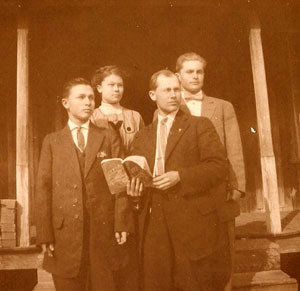 William Madison Culpepper, Age 25, Sallis, MS. Born 15 Feb 1892 in Attala Co., MS. Occupation: Farming for self in Sallis, MS. Partially supports father and mother. Single. White. No prior military service. Claims exemption due to support of father and mother. /s/ Madison Culpepper, Medium height, Medium build, Blue eyes, Light hair, Not bald, No disabilities. 5 Jun 1917, Sallis, Attala Co., MS.
+ J. J. Culpepper, 15 Nov 1893 - 28 Sep 1894, son of J. R. & D. E. Culpepper. + J. R. Culpepper, 8 Jan 1910 - 12 Jul 1912. Dewey Culpepper, age 21, RFD#4, Sallis, MS. Born 22 Apr 1897 in Sallis, MS. Father born in Leake Co., MS. Employed by J. R. Culpepper (Farming), RFD#4, Sallis, MS. 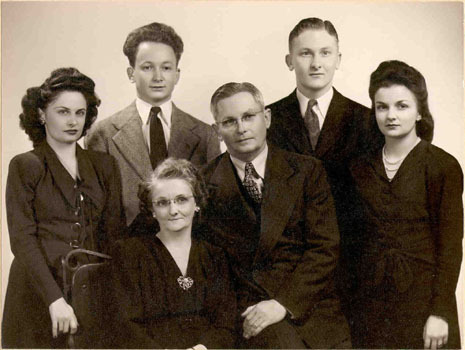 Nearest relative: Mrs. Liza Culpepper (Mother), RFD#4, Sallis, MS. White. /s/ Dewey Culpepper, Medium height, Medium build, Blue eyes, Black hair, No disabilities. 5 Jun 1918, Kosciusko, Attala Co., MS.
Elbert D. Culpepper, Son, Wh, M, Apr 1897, 3, S, MS/MS/MS. Percy Culpeper, Son, M, Wh, 7, S, MS/MS/MS. + Brewer Culpepper, 6 Mar 1912 - 22 Feb 1940. E. Culpepper, Nephew, M, Sng, Wh, 12, N/A, MS/SC/AL. J. E. Culpepper and Annie M. Pickle married 9 Feb 1898 in Attala Co., MS.
Homer Dewy Culpepper, RFD#2, Dossville, Leake Co., MS. Age 19. Born 3 Dec 1898. White. Occupation: Farming for B. E. Culpepper, RFD#2, Dossville, Leake Co., MS. Nearest Relative: Annie Culpepper, RFD#2, Dossville, Leake Co., MS /s/ Homer Dewey Culpepper, Medium height, Medium build, Blue eyes, Light hair, No disabilities. 12 Sep 1918, Kosciusko, Attala Co., MS.
Homer D. Culpepper, Son, Wh, M, Dec 1898, 1, S, MS/MS/MS. + Howard Culpepper, 24 Jun 1902 - 13 Jun 1987. Mary J. Culpeper, Daughter, F, Wh, 2, S, MS/MS/MS. Homer Culpepper, Son, M, Wh, 21, sng, MS/MS/MS. ED 12, sheet 7, line 8. Liley Culpepper, Boarder, M, Wh, 60, wid, MS/MS/MS, Retired. E-mail written 2001 to Lew Griffin from Roy Duane Cochran (#43470), e-mail address. Attala Memory Gardens Cemetery, Attala Co., MS. Located 7 miles south of Kosciusko and 100 yards west of Hwy 35. Copied 12 Oct 1983 by Roy Cochran. + Minnie Culpepper Cochran, 9 Nov 1890 - 16 Jan 1971. Obituary of William E. ‘Snooky’ Culpepper, published 13 Oct 2007. Lille E. Culpepper, Wife, F,Wh, 18, md, MS/MS/MS. E-mail written Jun 2004 to Warren L. Culpepper from Marjorie Lepard Culpepper, e-mail address. + William M. Culpepper, 15 Feb 1894 - 2 Feb 1949. 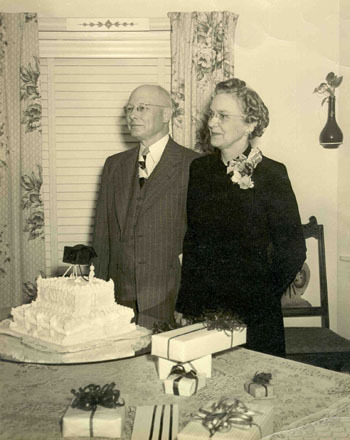 W. M. Culpepper and Earl Aldy married 7 Dec 1919 in Attala Co., MS.
James L. Culpepper, Son, M, Wh, 1 6/12, sng, MS/MS/MS. + Joe Edward Culpepper, 17 Sep 1920 - 23 Jul 1979, US Army WW II. Dewey Culpepper and Edna May Frazier married 10 May 1919 in Attala Co., MS.
Edna May Culpepper, Wife, F, Wh, 17, md, MS/MS/MS. Maggie Culpepper and Quitman McBride married 19 Feb 1902 in Attala Co., MS.
+ Margaret Culpepper McBride, 11 Oct 1882 - 27 Nov 1943. John R. Culpepper and Eliza McBride married 29 Apr 1903 in Attala Co., MS.
James Culpepper, Son, M, Wh, 2/12, S, MS/MS/MS. Clara C. Culpepper, Dau, F, Wh, 7, sng, MS/MS/MS. Cristian Culpepper, Daughter, F, Wh, 17, MS/MS/MS. + Anna McBride Culpepper, 11 Jul 1888- 10 Jan 1973.